The thing that makes the best 120mm case fan different from the other case fans aside from its size is the amount of air it can move relative to the amount of power it consumes. Comparing the 120mm to the 80mm case fans, both fans can move the same amount of air inside the CPU, but the 120mm fan does not need to spin as fast so it does not need quite as much energy. ​In addition, since it does not spin at the same rate as the 80mm fan, the 120mm fan is quieter than its smaller counterpart. When choosing the best 120mm case fan, you need to consider the pin configuration of the said accessory. Three-pin fans have connections for the power, ground, and the tachometer of your motherboard. This means that you can monitor the speed the fan is spinning. ​Four-pin configurations, aside from the ones already mentioned, also allow you to control the speed in which the fan is spinning. You have to consider this factor because while huge fans can and will dissipate heat faster, it still takes quite a lot of power to operate. If your computer’s power supply cannot provide the fan with enough electricity, it will impede the system’s overall performance. This is an important factor, especially if you plan to choose fans that are on the larger side. Although some of the fans mentioned in this list are low-profile and will actually fit even in cramped cases, you still need to make sure that your choice is not so large that it can already impede the proper circulation of air in the case. Of course, this is an important factor when choosing a 120mm fan. Note that you can choose the types of materials, colors, and even lights that can go with the fan. Avoid limiting yourself to choosing one that makes your computer run smoothly. It is also important to choose a fully functioning one, which looks the coolest without compromising its quality. 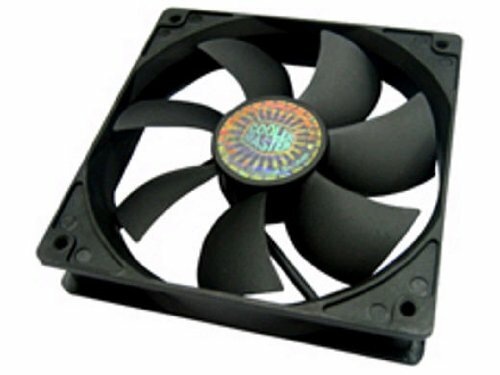 This product is ideal for mounting at the rear or top of your PC case as exhaust fans for your PC’s motherboard and CPU, graphics accelerators, and other components that fill the case with heat. R4 series fans offer a unity of maximum rotational speed and optimum airflow. The Noctua NF-F12 PWM Cooling Fan is one of the best 120mm cooling fans available because it offers numerous, cutting-edge features that lift its heads and shoulders above the rest. The NF-F12’s stator guide vanes are set out in Varying Angular Distance and feature Vortex-Control Notches. ​Custom designed for the new Focused Flow frame and to work in tandem with the eleven stator guide vanes, the NF-F12’s seven blade Heptaperf impeller has been carefully optimised to achieve a perfect balance between power and quietness. These features make it one of the most reliable fans in the market today. Has integrated anti-vibration pads - These silicone pads greatly reduce the amount of vibrations transmitted from the fan blades to the other components of the rig. It is one of the quietest fans in the market today – This is all thanks to the pads installed in it. Compatible with standard mounting systems, so there is no need to do any alterations or buy any special mounting brackets for the NF-12. Features an improved version of SSO bearing, the SSO2 - With this new system, the rear magnet is closer to the fan’s axis, making it even more stable at full speed. Less vibrations coming from the fan, which minimizes the amount of wear and tear on the moving components. This improvement makes the NF-12 more durable than its predecessors and makes it one of the best 120mm case fan models that money can buy. Corsair has always been at the forefront when it comes to aftermarket computer parts. Also, their dedication to quality is also evident in their cooling systems, most notably the Corsair Air Series AF120. 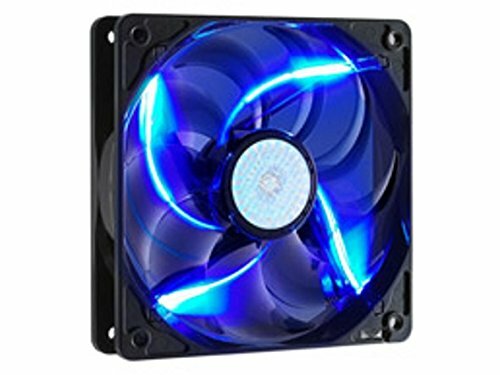 Available in different colors and LED lights so you can choose the one that fits your computer’s theme - You can choose the color of the fan blades, and pick the color of LED lights that turn on when you power up your computer. Only needs a minimum of 3mm of clearance for it to work optimally - This means that you can position the fan on top of the CPU tower or on the side. The flaws are just minor though, considering the many benefits offered by this unit. Also, you can place it wherever and it will still get rid of all the excess heat produced by high-end gaming rigs. You don’t have to worry about not having enough space in your case because odds are, you still have plenty for the AF120 to fit and perform perfectly. Cooler Master is one of the pioneers when it comes to computer cooling systems, and their newest offering, the Cooler Master Hyper T4 CPU Cooler RR-T4-18PK-R1, may just be one of their best so far. One of the innovations that Cooler Master brought to the gaming computer scene was their Direct Contact technology, which is greatly improved in the Hyper T4. Adjustable speed – You can adjust the speed of the Hyper T4 to fit your needs. You can crank it to the max if you’re playing graphics-heavy games or if you’re rendering hi-res graphics. You can also put it on silent mode if you are just watching movies on your computer. The fact that you have complete control over your cooling system if you have this makes it one of the best 120mm radiator fan models in the market today despite its minor cons. 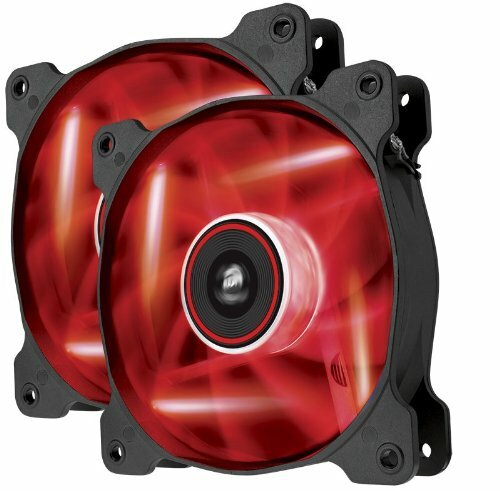 Yet another offering from Cooler Master, the Sleeve Bearing 120mm Silent Fan is one of their more affordable offerings. But don’t be fooled, this is still one of the best 120mm case fan you can find. Operates at only 19 dBA, which is deathly silent - You can’t even tell if it is on or off based on just the sound alone. Plain looking - It just comes in matte black and looks like your regular cooling fans only bigger, which will be subjective since some people are not fond of the flashy fans with LED lights on them. The good thing about this brand is that it is quiet, is in the right size and delivers an excellent performance. That said, you can expect it to really give you more bang for your buck. The SickleFlow 120 is kind of like the cooler cousin of the aforementioned Cooler Master Sleeve Bearing 120mm. Just like the previous best 120mm case fan, the SickleFlow operates at a deafeningly silent 19dBA. If not for the lights, you will not even know that it is turned on - that is how quiet it operates. Can move air at a respectable 69.69 CFM at maximum RPM, thereby providing enough ventilation for even the most demanding systems. Tough and sturdy, making it extremely useful as a fan, which needs to constantly spin around. 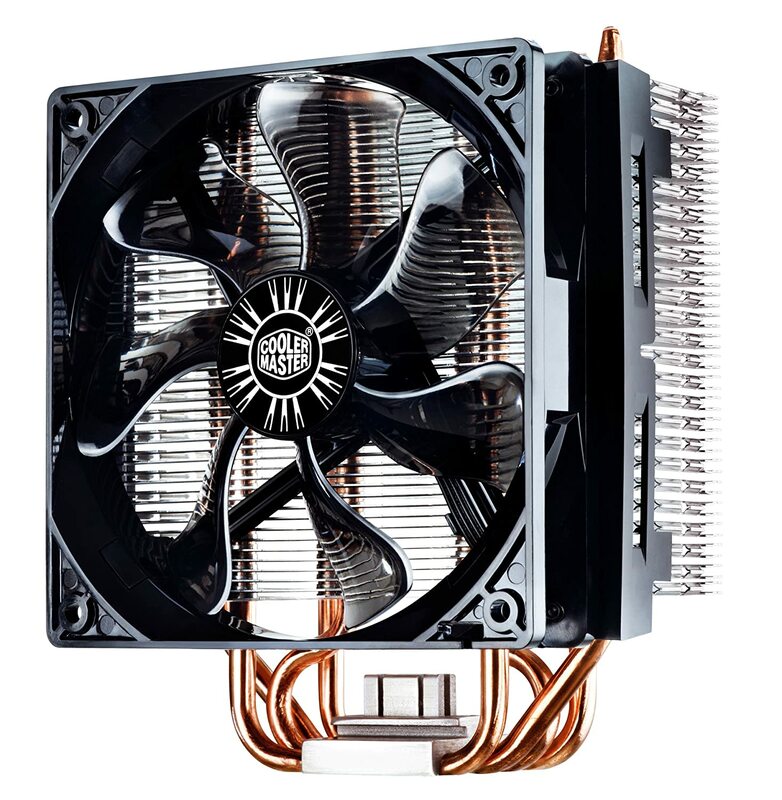 Has a Sleeve Bearing fan, which is exclusive to all of Cooler Master’s cooling systems – This promotes optimum performance without putting too much wear and tear on the fan itself. If you’re looking for a case fan that is functional, lasts a pretty long time, and adds style points to your gaming rig, the SickleFlow will be a great option. When choosing the best 120mm case fan for your gaming rig, you need to find the happy medium between performance and space requirement. 120mm fans are quite large, and they will undoubtedly need a lot of space for optimum performance, although there are some that do not require that much space to operate. ​You should play on the safe side and allot more than enough space for the cooling system so you will not regret anything later. 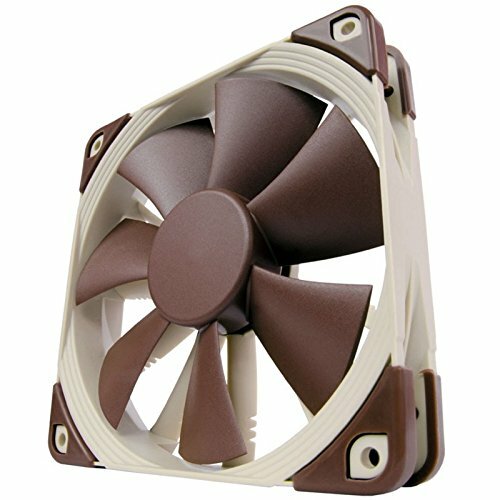 Regarding aesthetics, you can choose the fan that adds a bit more to your rig’s cool factor, but you still need to make sure that it actually does its purpose and keeps your computer nice and cool.